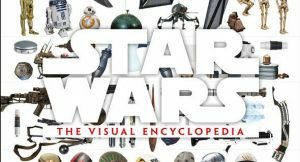 Star Wars: The Visual Encyclopedia Book Tour: Oxford, Mississippi Thursday, April 27, 2017, 5:00 p.m. Square Books, 160 Courthouse Square Author Tricia Barr will be signing copies of the newly published book, Star Wars: The Visual Encyclopedia. Full details on the book tour are available at the publisher's website. Star Wars: The Visual Encyclopedia Book Tour: Littleton, Colorado Friday, April 28, 2017, 6:00 p.m. Tattered Cover at Aspen Grove, 7301 S. Santa Fe Dr. 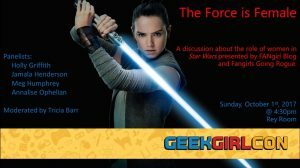 Authors Tricia Barr and Adam Bray will be signing copies of the newly published book, Star Wars: The Visual Encyclopedia. Full details on the book tour are available at the publisher's website. Star Wars: The Visual Encyclopedia Book Tour: Fort Collins, Colorado Saturday, April 29, 2017, 12:30 p.m. Old Firehouse Books, 232 Walnut St. Authors Tricia Barr and Adam Bray will be signing copies of the newly published book, Star Wars: The Visual Encyclopedia. Full details on the book tour are available at the publisher's website. Star Wars: The Visual Encyclopedia Book Tour: Phoenix, Arizona Sunday, April 30, 2017, 2:00 p.m. Changing Hands, 300 W. Camelback Rd. Authors Tricia Barr and Adam Bray will be signing copies of the newly published book, Star Wars: The Visual Encyclopedia. Full details on the book tour are available at the publisher's website. Star Wars: The Visual Encyclopedia Book Tour: Santa Monica, California Thursday, May 4, 2017, 3:45 p.m. Santa Monica Public Library, 601 Santa Monica Blvd. Authors Tricia Barr, Adam Bray, and Cole Horton will be signing copies of the newly published book, Star Wars: The Visual Encyclopedia. 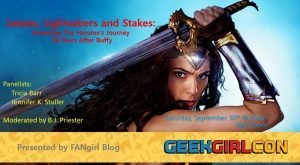 Fangirls Going Rogue co-host Sarah Woloski will join the festivities celebrating Star Wars on May the Fourth at the book signing. Full details on the book tour are available at the publisher's website. Star Wars: The Visual Encyclopedia Book Tour: Carlsbad, California Friday, May 5, 2017, 3:00 p.m. Georgina Cole Library, 1250 Carlsbad Village Dr. Authors Tricia Barr, Adam Bray, and Cole Horton will be signing copies of the newly published book, Star Wars: The Visual Encyclopedia. Full details on the book tour are available at the publisher's website. Star Wars: The Visual Encyclopedia Book Tour: Santa Diego, California Saturday, May 6, 2017, 2:00 p.m. Mysterious Galaxy, 5943 Balboa Ave. #100 Authors Tricia Barr, Adam Bray, and Cole Horton will be signing copies of the newly published book, Star Wars: The Visual Encyclopedia. Full details on the book tour are available at the publisher's website.